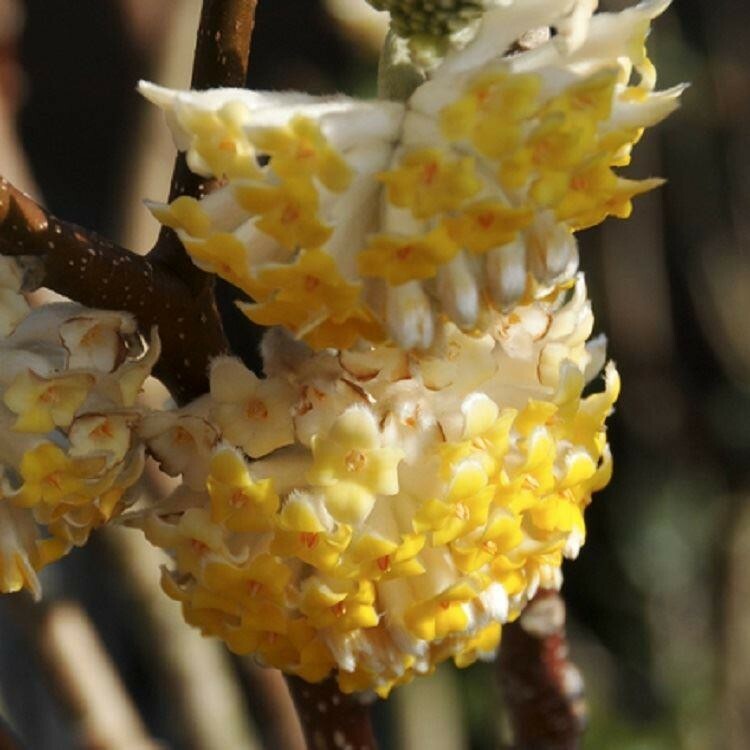 Edgeworthia chrysantha is a native to woodlands in the Himalayas and China, famed for it's beautiful clove-like fragrance that perfumes crisp winter air. 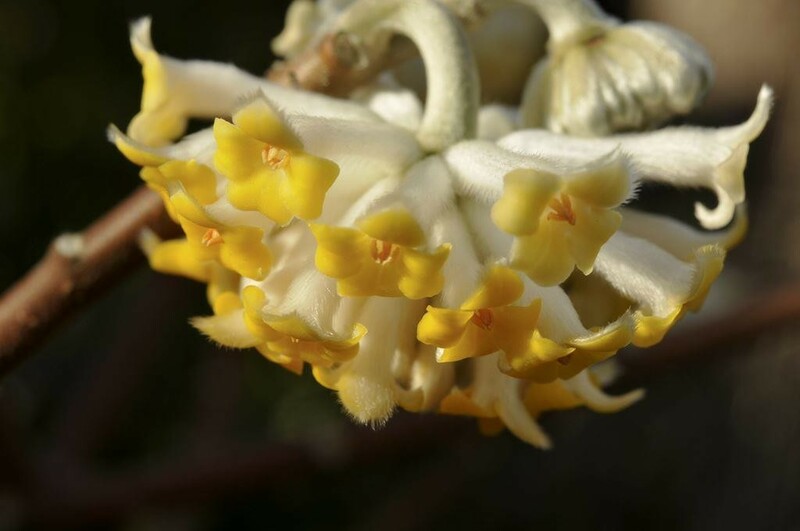 Edgeworthia is a gorgeous plant, closely related to Daphne. It is most highly prized for its flowers, which appear in clusters on the tips of the bare stems, and open in late winter. They have a strong scent which will help attract the toughest, winter insects, and when in bud the covering of silky white hairs make them look as if they are covered in frost. 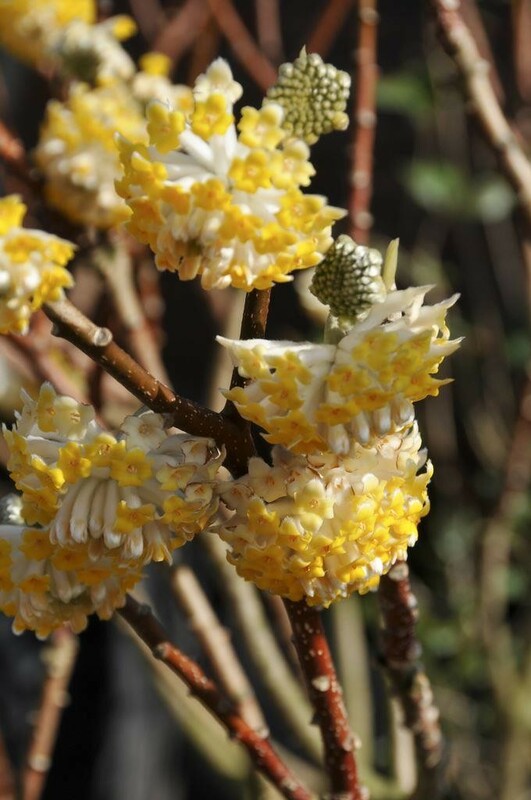 As a native of China and Japan, Edgeworthia has been used in the far-east for production of high quality paper for many centuries. The Himalayan Buddhist monks made paper from the bark of Edgeworthia for writing their holy texts! A great plant for the winter garden, although they will best prosper in a sheltered spot. Supplied in 2-3 litre containers.